SAN DIEGO--(BUSINESS WIRE)-- Mentor Capital, Inc. (OTCQX: MNTR), an M&A and funding provider for the cannabis and medical marijuana sector, will start to trade on the OTCQX Best Market effective today. 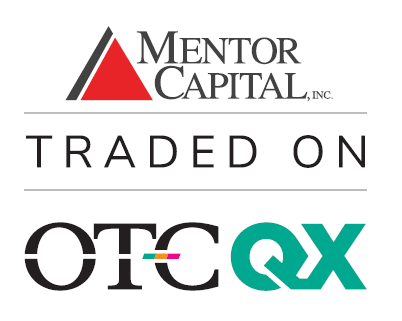 Mentor joins more than twenty companies during 2018 that have upgraded to OTCQX from the OTCQB® Venture Market, according to OTC Markets Group, Inc. U.S. investors can find current financial disclosure and Real-Time Level 2 quotes for the company on www.otcmarkets.com as well as other popular financial websites. OTCQX is designed for established, investor-focused U.S. and international companies that have met high financial standards, are current in their financial reporting and have been sponsored by a professional third-party advisor. The OTCQX market is considered by the SEC as an "established public market" for the purpose of determining the public market price when registering securities for resale in equity line financings with the SEC. "We are delighted to be moving up to OTCQX," said Chet Billingsley, Chairman and CEO of Mentor Capital, Inc. "When we shifted to the medical marijuana market in 2013 we committed to bring professionalism and integrity to the cannabis sector like we had encountered both in Silicon Valley and while working in cancer related biotech outside of San Diego. We feel adherence to these high standards are signaled by this move to OTC Market’s top tier and represent an advantage to investors. Accordingly, this upgrade is a significant milestone for Mentor Capital and a step towards increasing the liquidity of our stock." The company seeks to come alongside and assist private medical marijuana and cannabis companies and their founders in meeting their liquidity and financial objectives, to add protection for investors and to help incubate larger private cannabis companies. Additional important information for investors is presented at: www.MentorCapital.com. Forward-Looking Statements: This press release contains forward-looking statements within the meaning of the federal securities laws, including statements concerning financial projections, financing activities, corporate combinations, product development activities and sales and licensing activities. Such forward-looking statements are not guarantees of future results or performance, are sometimes identified by words of condition such as “should,” “could,” “expects,” “may,” “intends,” “seeks,” “looks,” “moves,” or “plans” and are subject to a number of risks and uncertainties, known and unknown, that could cause actual results to differ materially from those intended or anticipated. Such risks include, without limitation: nonperformance of investments, partner and portfolio difficulties, potential delays in marketing and sales, problems securing the necessary financing to continue operations, problems involving continued illegality of cannabis products, potential of competitive products, services, and technologies, difficulties experienced in product development, in recruiting knowledgeable personnel and in protecting intellectual property. Further information concerning these, and other risks is included in the Company’s Form 10-K filing which, along with other very important information about the Company, can be found here: https://ir.mentorcapital.com/sec-filings.